wonderful animals in situations geared for their age level and attention span. 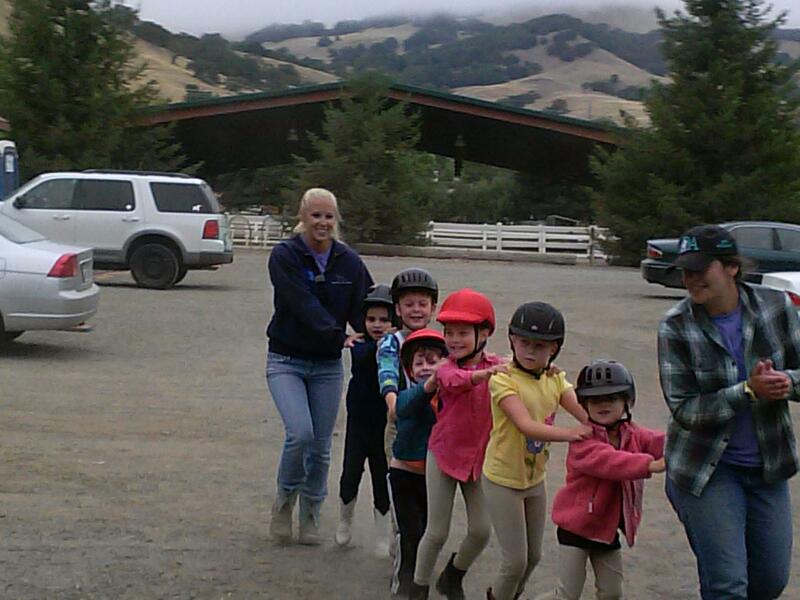 Daily riding lessons will teach your child the very basics of horsemanship in a confined suitable area for beginners. emphasized. 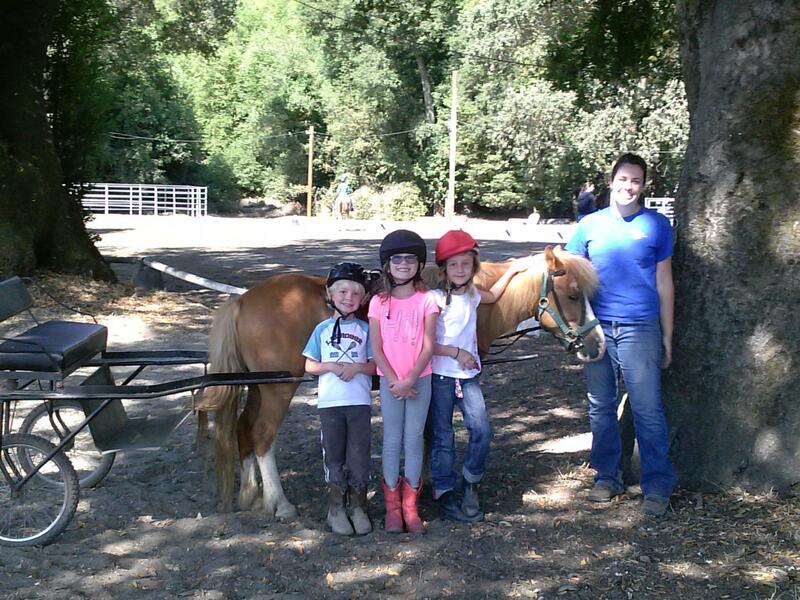 Our staff to student ratio during riding is 1 to 3 maximum. 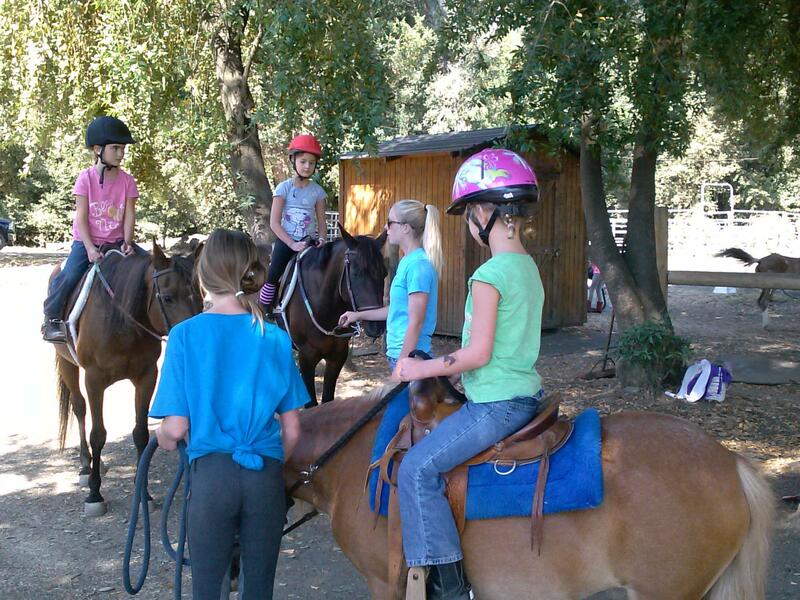 Your camper will enjoy hand led trail rides, vaulting (gymnastics on horseback), arts & crafts and simple games on horseback. These activites will increase your childs self confidence while they have an incredible amount of fun. concerned about sharing helmets, you may purchase one in advance for $45. To purchase a helmet click here Helmet Order Form Fill out the form and include it with your camp registration. Click here Mini Camp Registration for the registration packet. The packet contains: Camper Information Form, Mini Camp Registration Form and Signature Page of the Release Form. Payment must be included with your forms in order to hold a space. If you are paying by credit card fax to 415-897-8306 or email to contactmsf@aol.com. filled from our waiting list, then the above rule applies. Substitutions - After you receive confirmation, you have 48 hours to make any changes in camp date or substitution of camper. After this time a $50 fee is required for any substitutions of camper or camp date. (subject to availability).